This statistic shows religious diversity in Middle East and North Africa in 2010, by share of religious population. 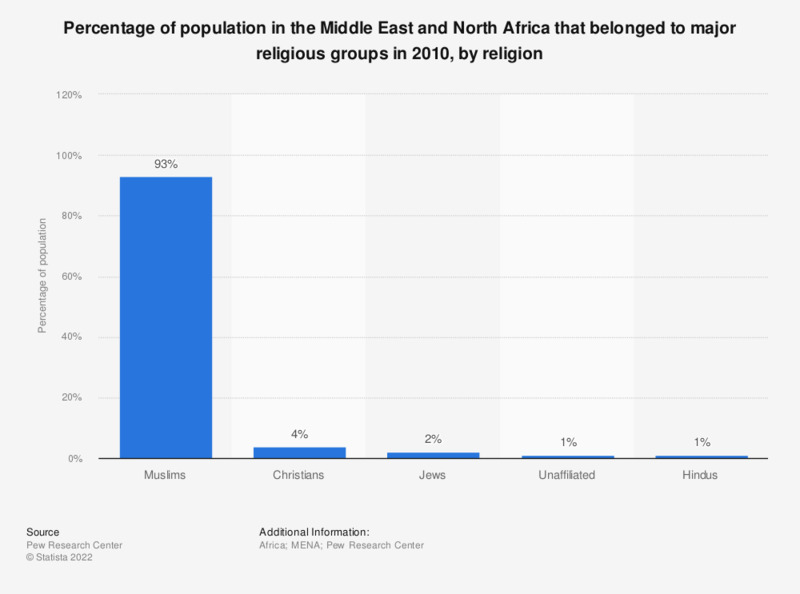 In 2010, about 93 percent of population in the Middle East and North Africa were Muslims. Everything On "Demographics of MENA" in One Document: Edited and Divided into Handy Chapters. Including Detailed References. Statistics on "Demographics of MENA"
Do you think a person with one of the following religious identities is or is not a real Swede? Which of the statements about media publishing religious caricatures are most in line with your opinion?